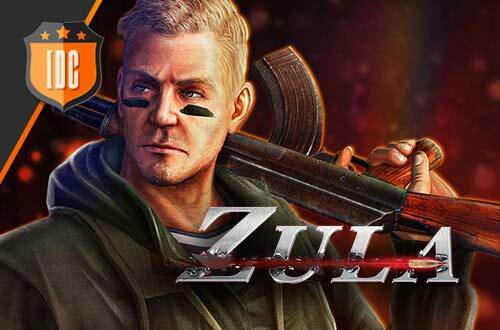 In this post we leave you the chronicle of the fourth edition of the IDC/Games Zula Tournaments. It should be noted the general performance in this edition of two new teams: Team Paria and Team VaN!Z. In the first-round numerous matches took place. In general, all the matches had a clear winner and there were not many surprises. We go to the round of 32. 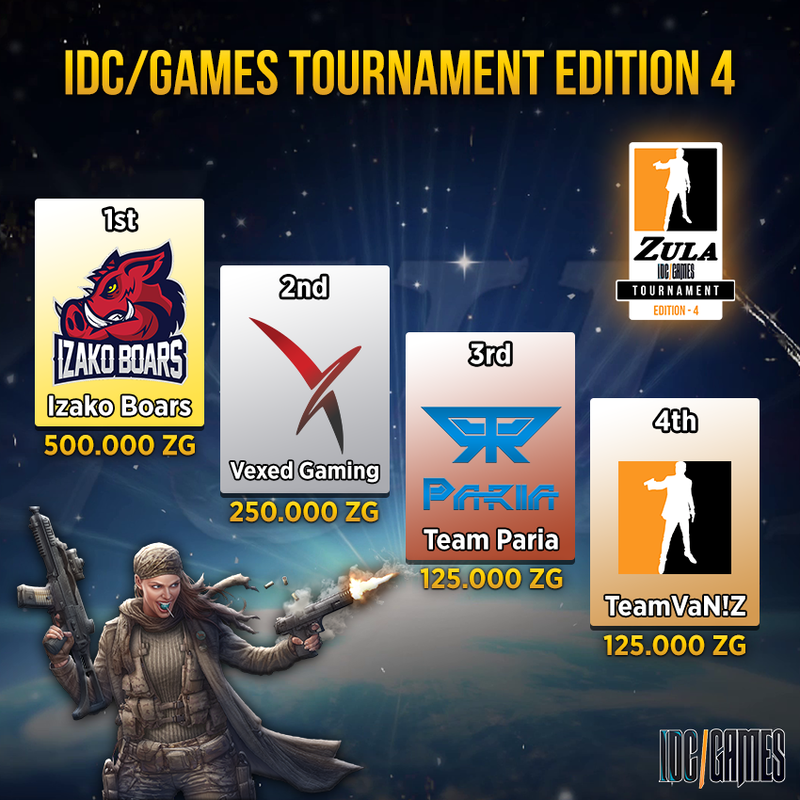 In this round we could enjoy more equal matches between several teams, but finally there were no surprises and the famous teams as Izako Boars, skaikru and Vexed Gaming advanced to the next without problems. 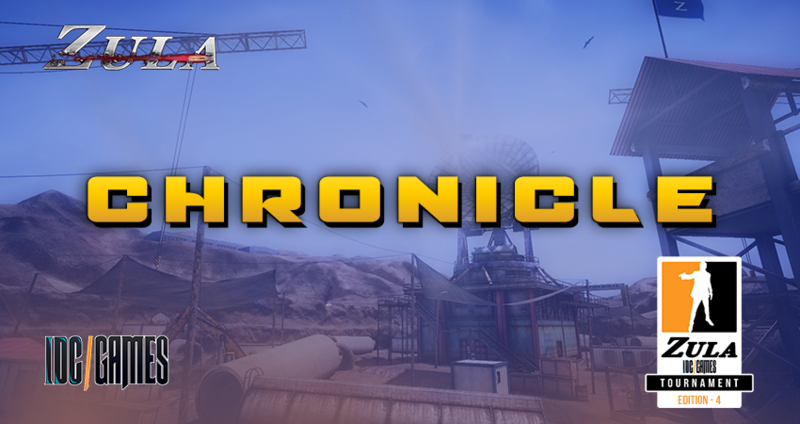 In the round of 16 all the matches were decided in favor of one of the teams with absolute victories except that of SuperSaiyans against 5 Percent (10 - 6) and that of ShellShock against Vexed Gaming (10 - 6). In the quarterfinals there were not many surprises. One of the most anticipated games was Izako Boars against skaikru, finally winning the Polish team (10 - 3). We also enjoyed the match between Vexed Gaming and Random Tryhard that was quite close (10 - 6) but ended up with the victory of Vexed Gaming. The semifinals were very exciting. In the first semifinal Izako Boars faced Team Paria. The 3 selected maps were Wedding Hall, Northern Iraq and China. In the first match Izako Boars started on the Zula side and ended up winning (10 - 5). In the second match Team Paria started playing on the Zula side, but they could not resist the onslaught of the boars that ended up winning the game (10 - 4). On the other hand, Vexed Gaming and Team VaN!Z met in the other semifinal. Vexed only needed two maps to qualify for the final. These matches were played in China (10 - 8) and Favela (10 - 7). Team VaN!Z put in trouble one of the teams that participated in the ZWC 2018 so we can say that it is one of the revelation teams and if they continue training they could reach the top. In the final Izako Boars and Vexed Gaming faced each other. In this case the Polish team crushed Vexed Gaming getting the victory in the first two maps: Northern Iraq (10 - 0) and Favela (10 - 4). On this occasion, Vexed Gaming could not face the polish team.